Goats, Dogs, Ducks, Chickens and More! Today my friend and photographer extraordinaire Melissa Kotacka and I made a special trip to Rougement to visit Elodie Farms. It’s even more beautiful in person; in fact, it’s reminiscent of Marie Antoinette’s Petit Hameau in France. 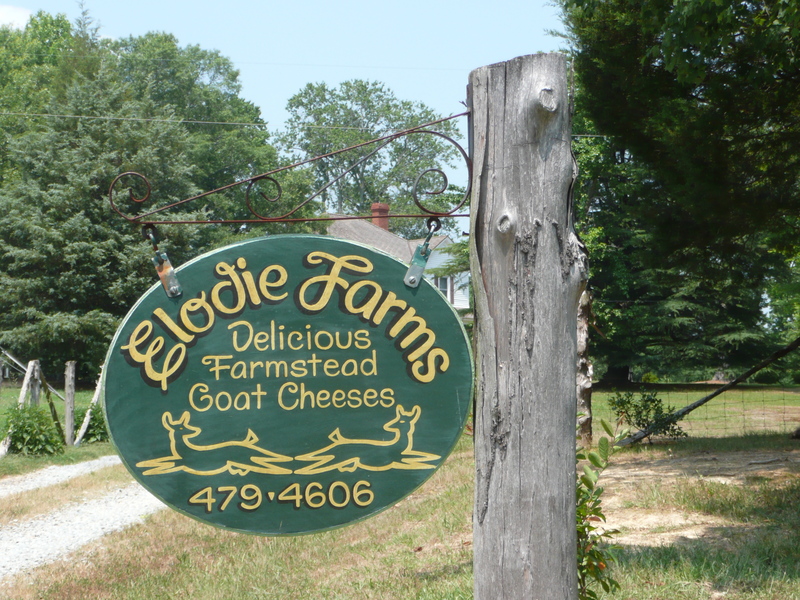 But unlike that fabled retreat, Elodie Farms is an authentic dairy, where owner Dave Artigues milks his goats by hand twice each day. Gus, a brown lab and Lulu, a loquacious Chihuahua mix, greeted us first. As we wound our way to the dairy, we encountered roosters and ducks. 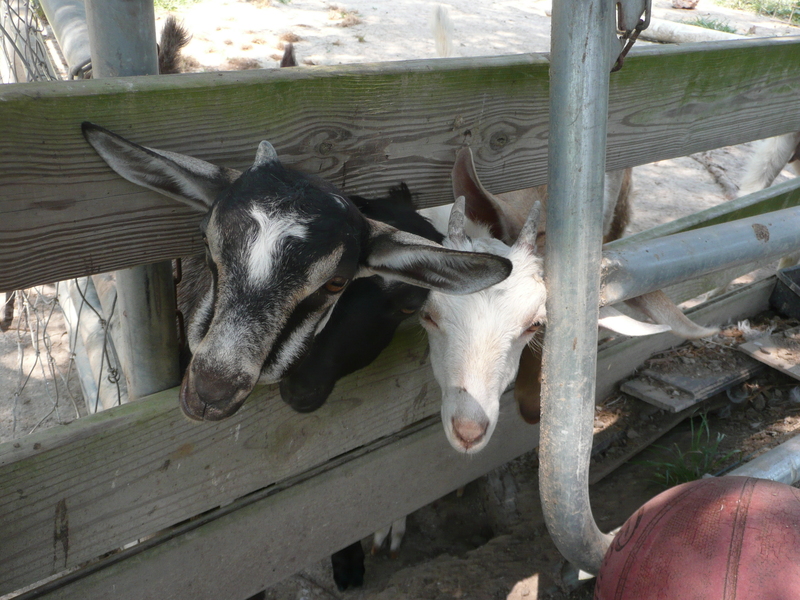 The “kids” (teenagers, really) were the first of the goats to peek out. Curious, playful and friendly, they clambered to the gate for a first-hand view. A protective doe circled, not so sure. We soon made the acquaintance of Dave himself, who years ago decided to trade his clinical psychiatry work for dairy farming and hasn’t looked back since. 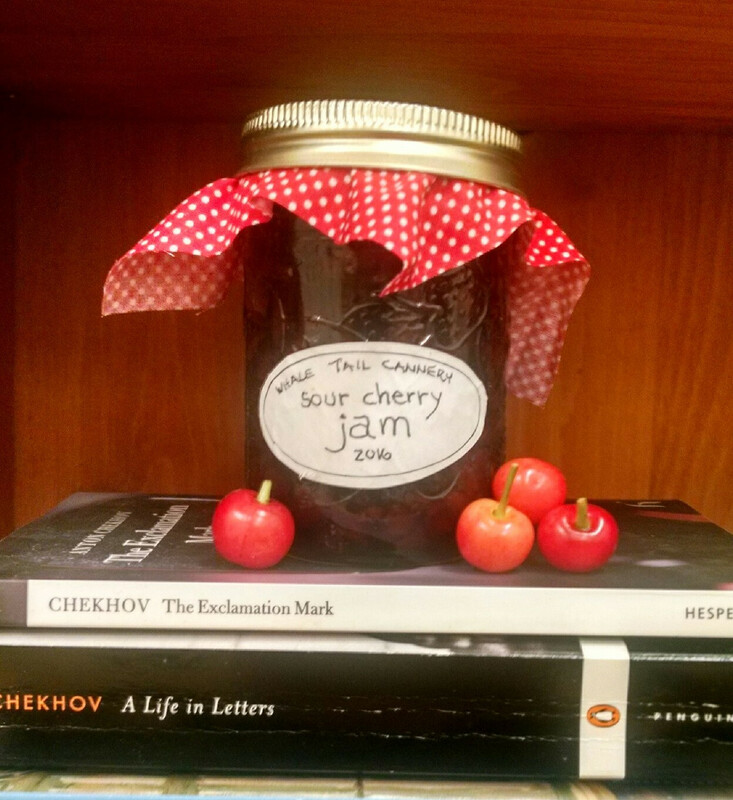 His journey sounds a little like that H.T., the reluctant hero of Naked and Hungry. So where was Bermadean, the fictional goat in Naked and Hungry? You decide! If you want to know for sure, join us on August 6, for a tour of the farm and a special reading of the book in celebration of sustainable agriculture in North Carolina. For more, check out Melissa’s beautiful photo-essay on our trip. This entry was posted in Uncategorized and tagged ashley memory, dairy farm, dave artigues, goat cheese, goats, naked and hungry on June 12, 2011 by Ashley Memory. I hate I missed the adventure today! But reserving August 6 on my calendar of course. Loved the pics! You got it, gal! Should be FUN! This sounds like a place where H.T. and Bermadean would love to hang out! I hope to be there, too, though there’s a chance I’ll need to be out of state then. I’m hoping not — don’t want to miss this! You’re right…I felt like Myrtle was about to stumble out of that farmhouse at any moment. Hope to see you there, if not, soon!